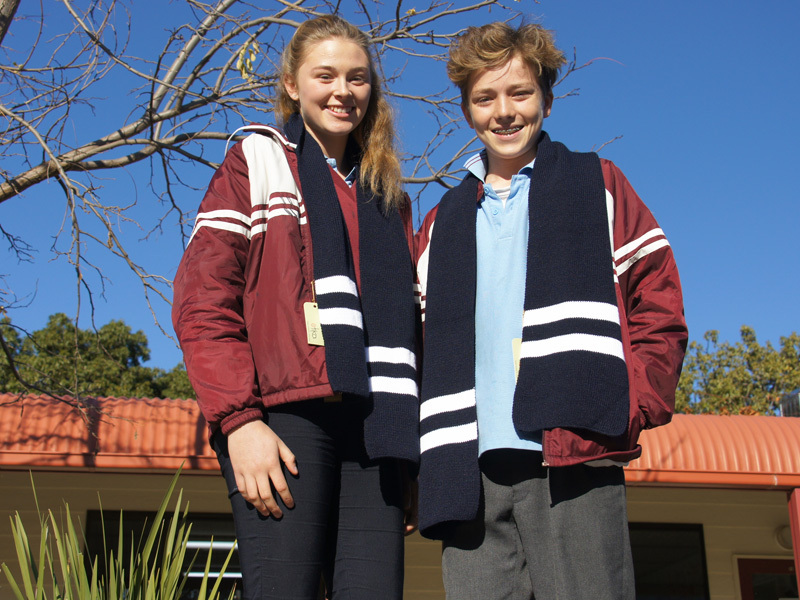 Olivia Richards and Callum Spencer beat the morning chill with a new Galen scarves. New Galen scarves have just arrived at school in time for the chill of Winter! Our scarves are made by a fair trade company called ‘Tika’, who help women work for a better future. By buying a Galen scarve, you’ll be helping provide a sustainable income to a group of women in one of the poorest districts of Peru, (San Martin de Porres, Lima). A Galen scarve costs $15.00. Not only will you be keeping warm with Galen’s official school uniform scarve, you’ll also be helping women less fortunate to work towards a better life for themselves and their families… That’s $15.00 well spent!